If you live in Blackburn and are looking for local TV or satellite installation and repair experts, then call The Aerial Guys. We are passionate about providing you with the best possible service. Contact us today on 01254 492032 to book an appointment. Poor TV reception can make watching even the most advanced television sets unbearable. Rather than receiving the crystal clear high definition image you expected, a poorly installed or damaged aerial can result in poor picture quality and prevent you from getting the most out of your television. As an experienced TV aerial company, we can provide you with several suitable solutions including TV aerial installation in Blackburn to replace your old aerial. If your existing aerial is serviceable but is misaligned, we provide aerial alignment in Blackburn to ensure that it is pointing in the right direction to maximise the signal you receive. Simply get in touch with us today to book a visit from your aerial engineer in Blackburn. Aerials and satellite dishes share similarities in that they can both be used to pick up the television channels that are broadcasted by television networks. As qualified aerial installers in Blackburn, we can provide you with a new aerial which has been designed to work perfectly with digital frequencies such as Freeview that are broadcasted within the UK. We can also provide you with the installation of a new satellite dish which can be used to pick up Freesat channels through the addition of a suitable set-top box. There are several options available to you depending on your requirements so contact us today to discuss your new digital aerial in Blackburn. Our aerial engineers are experienced in all aspects of television equipment and can provide you with a custom solution that meets your unique requirements. 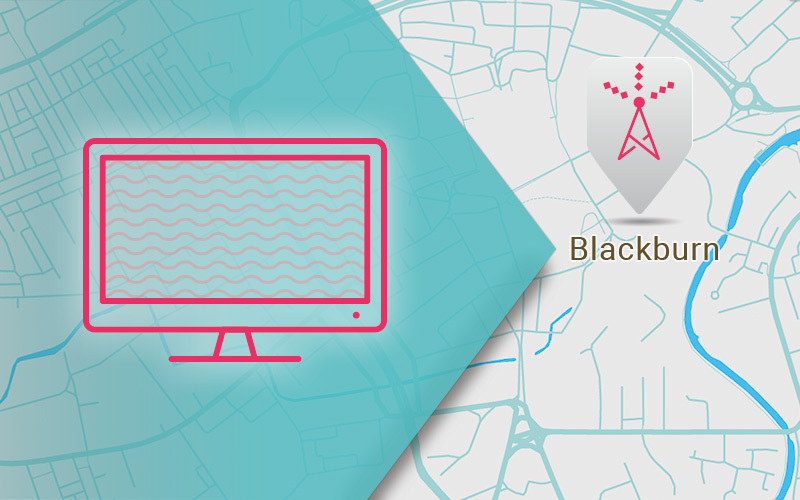 Whether you require expertise in local TV aerial repairs in Blackburn or require assistance in setting up your new television, we are on hand to provide the support you need. If you need help improving the reception to your television set, call us today to discuss your options with a member of our team. We will dispatch an engineer to your home in a prompt manner who will evaluate your existing equipment before providing you with a no obligation quotation for the services required. Molly is a busy wife and mother. She doesn’t get time to sit down much but when she does, she likes to catch up with her favourite soaps. “I wasn’t sure what the issue was but every time Emmerdale came on the picture on the TV just went all strange – like it needed to catch up with itself. My husband did his best to fix it, but I didn’t really want him poking around with the wires. It’s just not safe,” she says. Molly decided she’d had enough and contacted The Aerial Guys as soon as she could. “I was a bit dubious about having an engineer round to the house to be honest, but the chap who came to do the work was really good. He explained what had been going on and fixed the problem there and then! I was able to watch Emmerdale that night with no interruption or problem. And the price was very reasonable too! The Aerial Guys really do know what they’re doing – I was very impressed with the service,” Molly says.